The Rutland 914i Windcharger intelligently uses Maximum Power Point Tracking technology to perfectly match the generator operation to the turbine speed thus achieving a highly efficient power output. This Marine Mounting kit offers easy installation of the Rutland 914i windchargers on any sailing boat. The kits are supplied pre-drilled for mounting of the windcharger and include all fasteners for assembling the pole and attaching guys or stays. (Guy wires/stays are supplied by the user to suit installation). Fittings include: Deck plates, guy brackets tube joiner, screws, allen key, etc. This innovation has enabled the Rutland 914i to retain the compact diameter of the highly successful 913 model whilst being capable of capturing up to 30% more energy. The increased power performance is yet another product improvement taken this compact 910mm diameter turbine from an original output of 50W @ 10m/s (19knots) to the new power rating of 140W @ 11m/s. .....plus everything you expect from a Rutland which is reliable, both in power generation and in tough marine environments. The 914i is suitable for use on board yachts and on land. 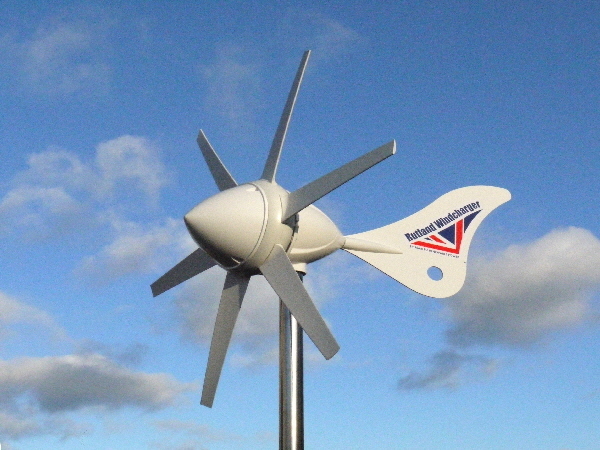 A pole with an internal 41mm diameter & 48mm external diameter suits this turbine. Can be used in conjunction with solar panels.